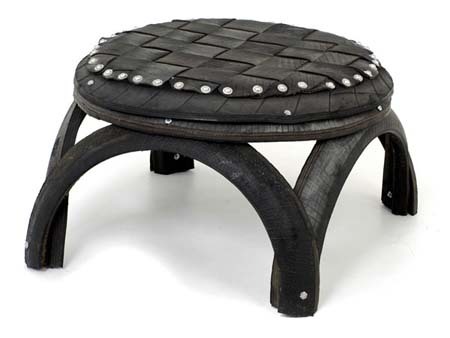 If you already have heard about numerous furniture made from recycled car tire interior, this recycled car tire furniture must be a new addition to the wonderful products recycled tires can create. 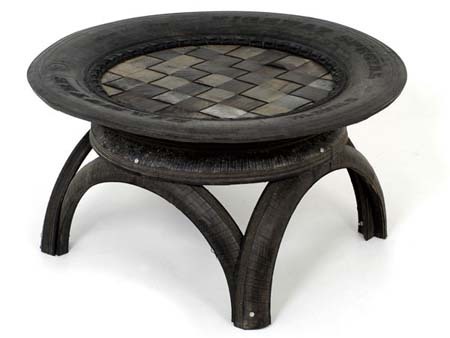 Since tires claims to be sturdy, furniture made from it will surely be strong enough to hold on to its promise to give comfort and style to its users. 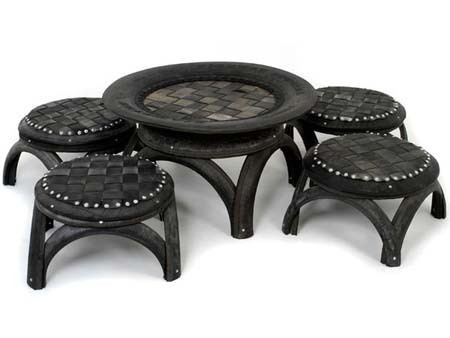 Furniture made from recycled car tires includes a coffee table set that composed of a small round table and stools. 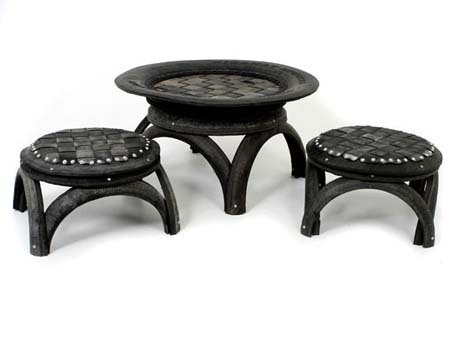 Since these items are made of tire, this must be perfect not only for indoor but also for outdoor use.